Good stuff Skins. I made this over the weekend for my wife's family. Added bacon and garden grown banana peppers. Outstanding! 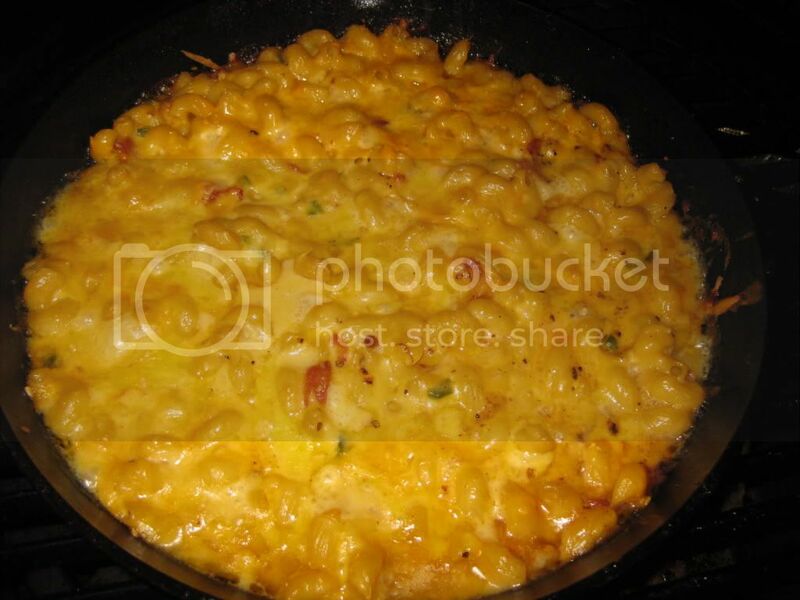 Reserve 1 cup of cheddar for topping, mix in the rest of the cheddar and all other ingredients except macaroni. I think I'm going to give this a shot for Thanksgiving next week. Looks delicious! Thanks for the recipe Skins.